VUNA International is a Christian humanitarian organization passionate about the biblical principle of justice and human rights. We seek to provide locally sustainable humanitarian relief to isolated communities with inadequate access to health, education and food. VUNA INC: Our youth program based in Minnesota that is dedicated to serving African immigrant high schoolers by helping them integrate and succeed in their schools and career paths. Click here for more information. VUNA Africa: VUNA Africa focuses on education, health and food Security. Annually, we organize mission trips to support these ongoing projects. Click here for more information . Advocacy: Wherever and whenever we can, we advocate for minority groups and marginalized communities. APRIL: We are heading back to Turkana! 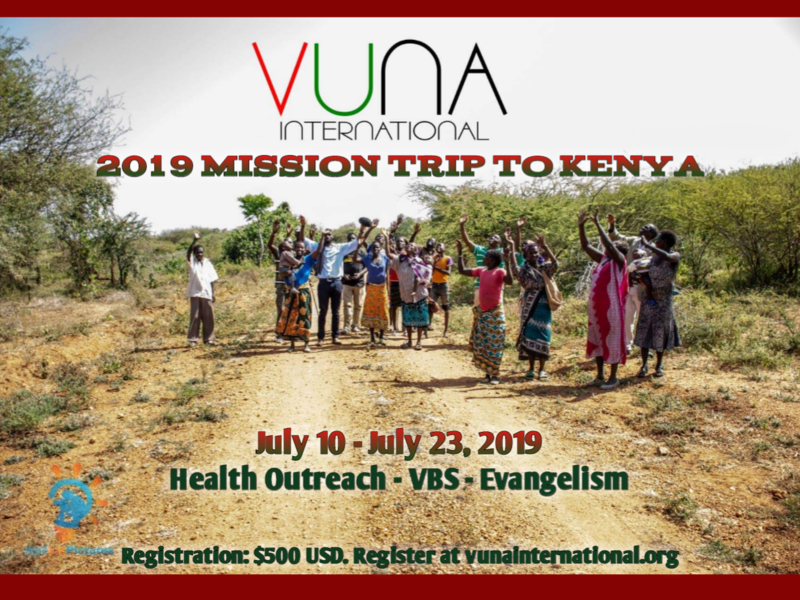 Join us for our 2019 Mission Trip. Registration is now open so register today or learn more here . MARCH: Our February Information Session is live! If you missed it, we invite you to watch it here. Please click here .